The only pub in Britain to have a cricket team with a pitch on the beach. 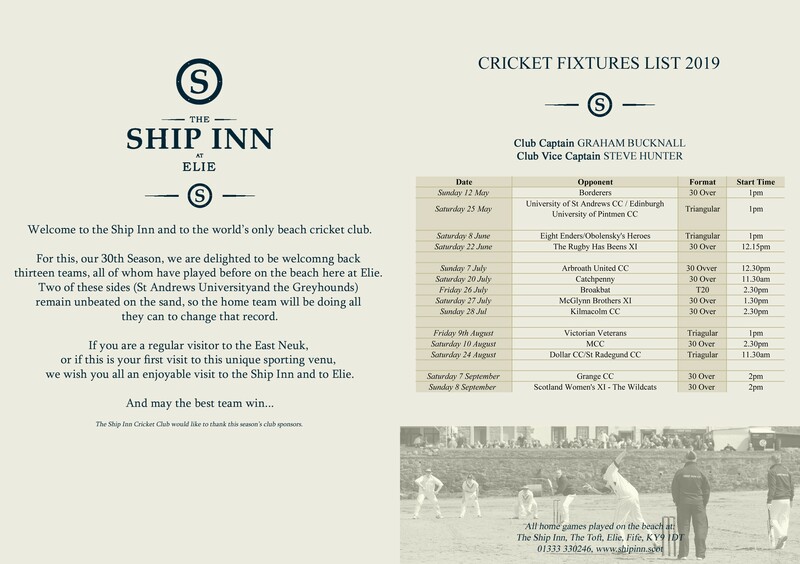 The Ship Inn CC 2019 season runs from May to September with dates and times of matches dependent on the tide. We play against a combination of regular opposition from Scotland and touring teams from all over the world. 2019 will see our Cricket Festival weekend on 26th-28th July, featuring three games including The McGlynn Brothers XI, Kilmacolm and a T20 match, Broakbat. We are delighted to welcome back The Scottish Wildcats again which was a great success the last couple of years, and we will again have our regular matches against some regular and new teams.